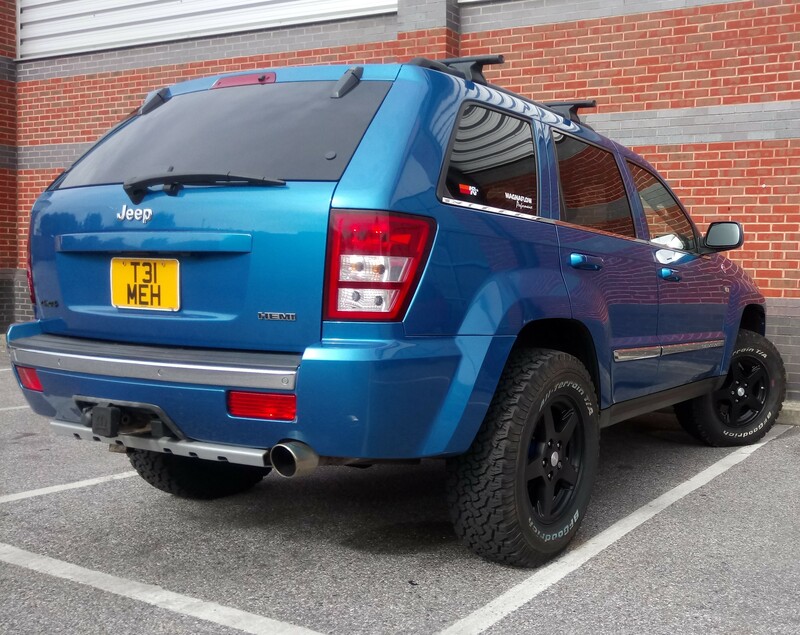 Hydro Blue Pearlcoat – JEEP Grand Cherokee WK 2005. A unique colour for this model, the only one as I had it resprayed. 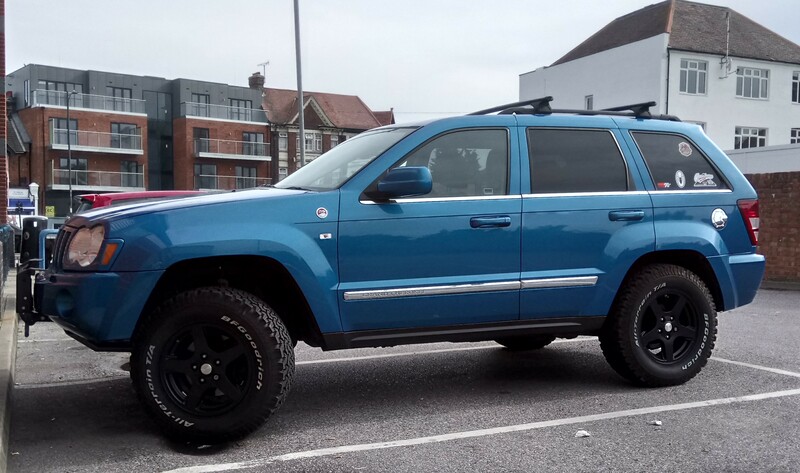 This is actually an export JEEP WH for the UK market. 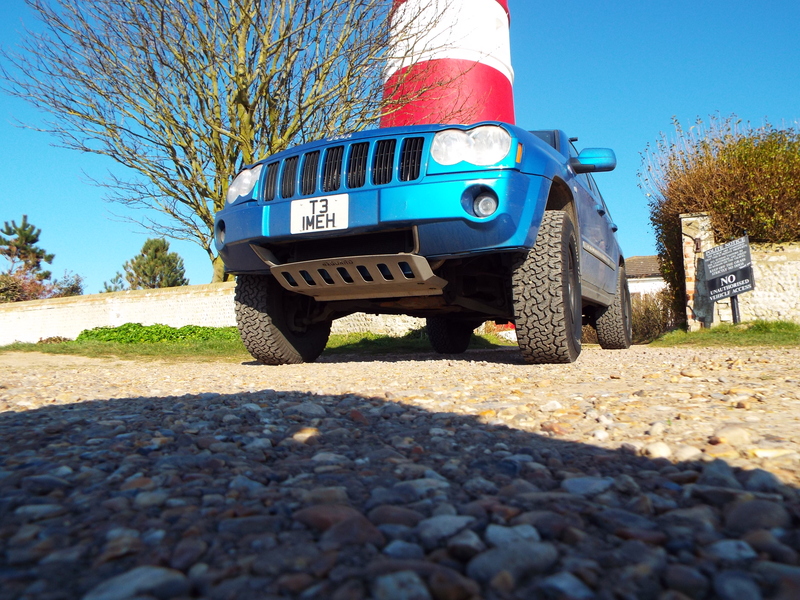 It doesn’t take much to make these Jeeps look like something really good, my one is just optimised for mild off-road use. See the running report and vehicle history from 2005. I’m burning LPG (Autogas) for fuel most days. 10,000 miles a year on LPG now at 57.7p per litre in Essex. The Magnaflow Custom Build Stainless Steel exhaust system is now on this WH-WK Jeep and that sounds very nice without a sound drone at 70mph, like the Flowmaster 40s did that I had on my Bullitt Mustang when cruising in 5th at 1800 rpm. So no drone, but a nice bark at wide open throttle. Another good reason to install a new Magnaflow resonator to replace the Mopar factory one. See my other JEEP. 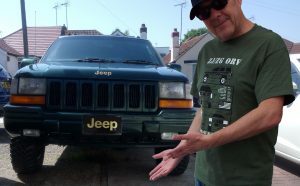 I had a ZJ JEEP GRAND CHEROKEE and an XJ JEEP CHEROKEE, both now sold. This is my 2nd LPG vehicle, I ran a nice 1989 E32 BMW 735i from 2003-2006 for 45,000 miles on LPG, so I am truly converted. My BRC conversion includes a valve-seat lube-system. 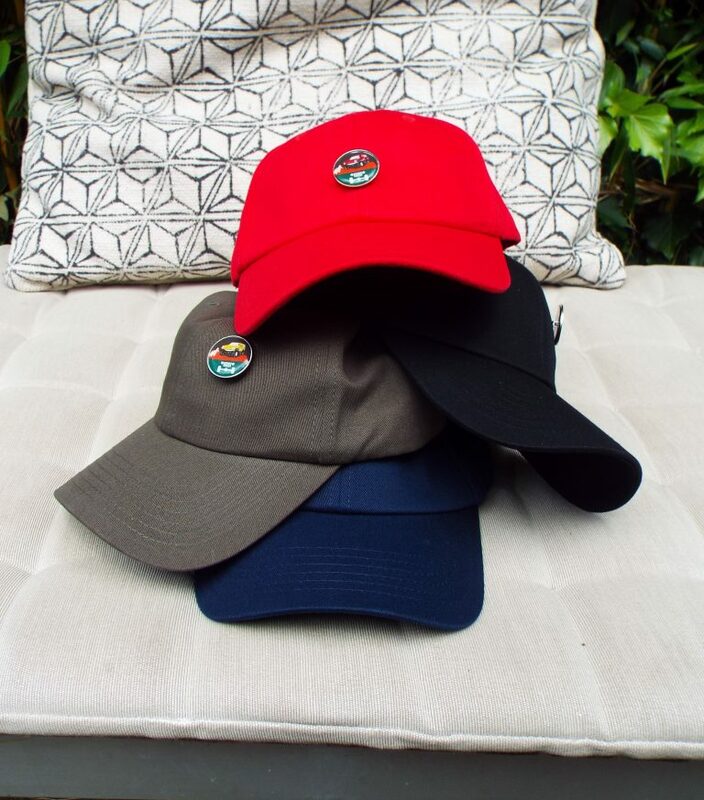 It is a must. 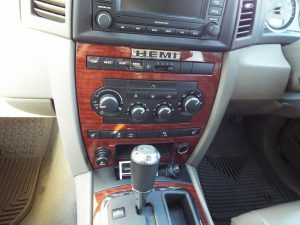 I’ve heard of hemis doing 120,000 miles on lpg with no issues with these set ups. 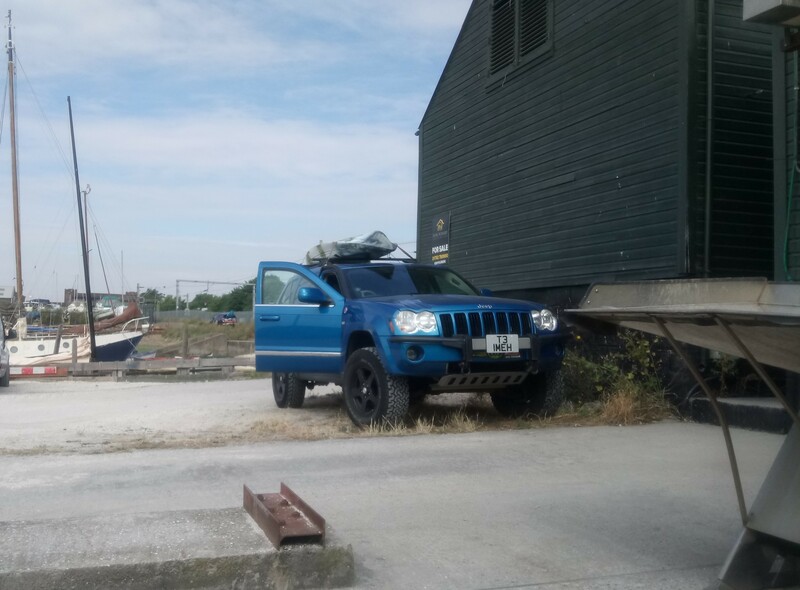 There are a lot of Dodge Rams with the same engine, so quite common in Europe. The other thing to look at is the LPG service book with should be supplied as part of an LPG conversion. This means you have a 2nd service history post conversion. You also benefit from a full engine retune. That is a piece of work in itself. So this paperwork is a must for vehicle to be re-defined with the DVLA as an ALTERNATIVE fuel vehicle. That can only be done if the conversion was UKLPG certified. LPG gives you an additional GBP5 a year UK road tax discount! 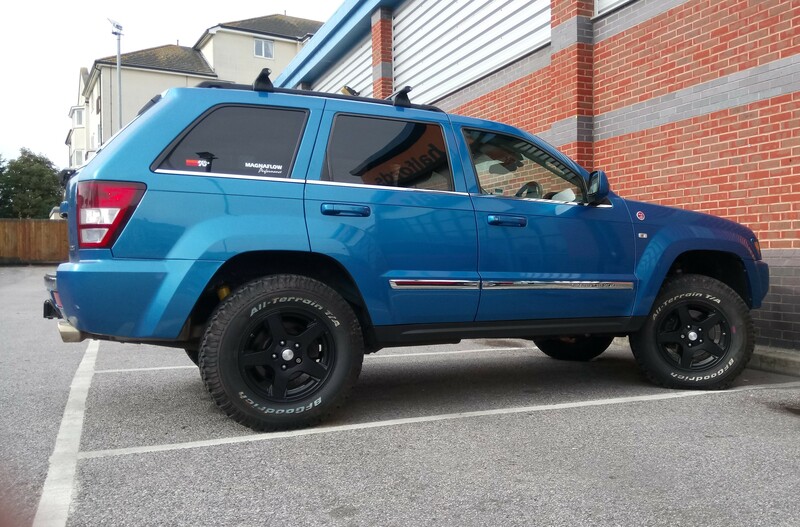 Here is the Jeep Grand Cherokee WK now painted in hydro blue. I don’t think there is another one this colour in the world yet. 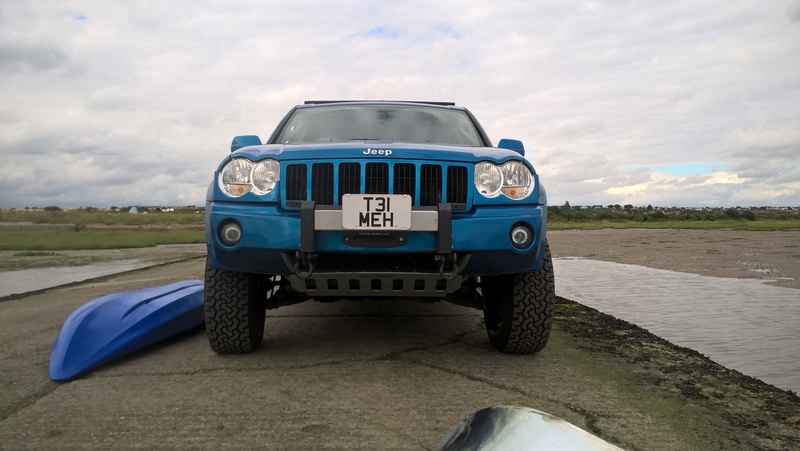 Take a look at Jeep club UK. 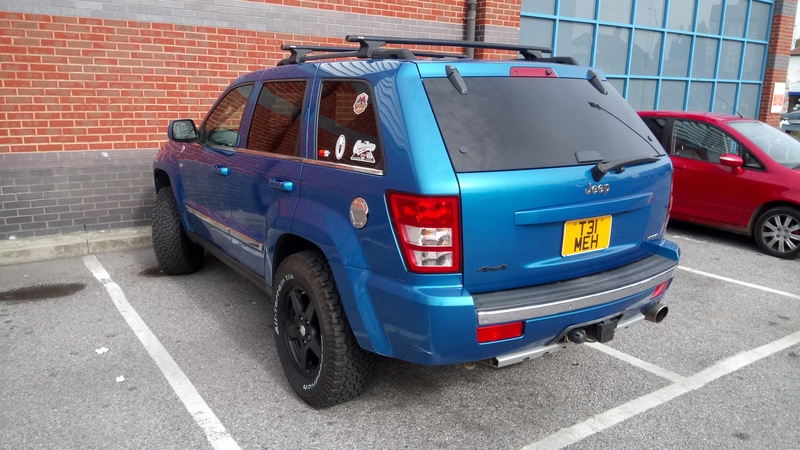 This superb Jeep Grand Cherokee Limited 5.7 hemi V8 has to provide me with a number of different roles. Due to the 2008 recession I sadly had to sell my 2001 Ford Mustang GT Bullitt which was my trusty steed. 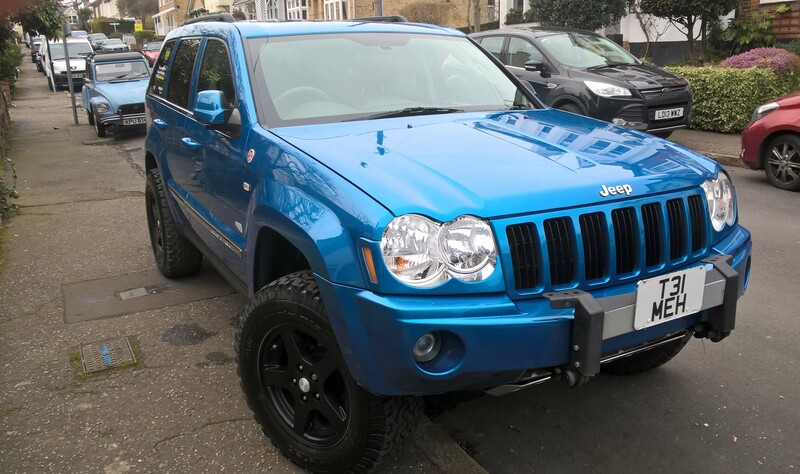 The Jeep 5.7 HEMI Grand Cherokee Limited 2005 is worked quite hard. 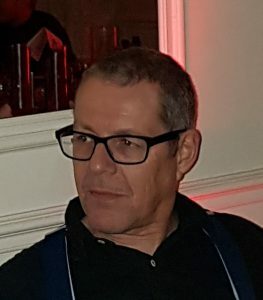 I need; a truck for work, a 5 passenger limousine, an estate car, a van, a bicycle transporter, a kayak carrier, a trans-continental tourer, a 4 x 4 for off roading / snow and it was one-half of my Jeep tent as well a T shirt design. 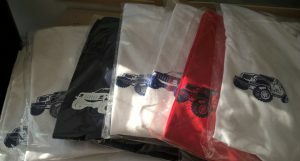 Well I like the blue!